The Summer Auction is Here! Reserve prices have been lowered for several lots from the Summer Auction. 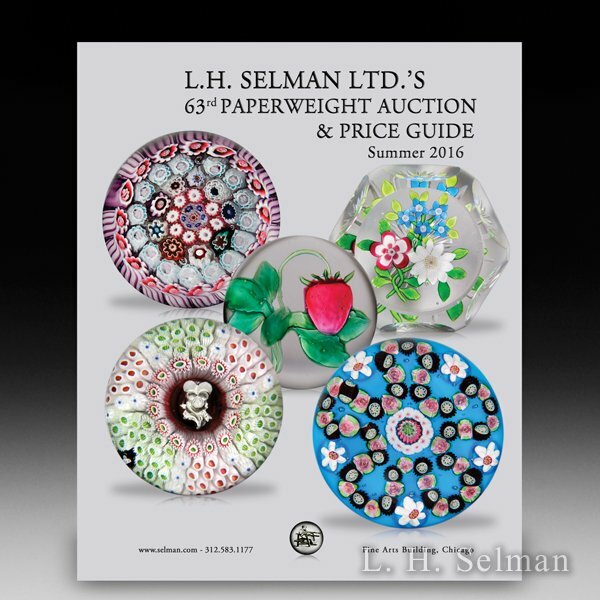 A guide which lists lot number, title, and reserve price for each paperweight currently available at reserve is available. Click GUIDE to view the list of reserve prices or respond to this email to receive a copy via email. Click CATALOG to view a pdf of the printed Auction Catalog for easy reference while viewing the list. Click AUCTION to review all reserve prices at the auction website. As always, we appreciate your interest and support throughout the year. We are delighted to hear from you and hope you will contact us if you need our assistance. I would like to receive the hard copy of the just completed auction and the catalog for the upcoming art institute auction. thank you…dr Richard chaset, 13497 Barcelona lake circle, delray beach, fl, 33446.